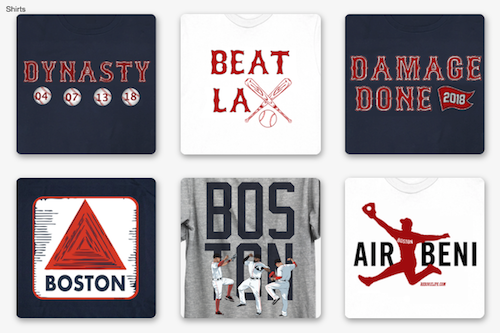 When the Boston Red Sox finished in dead last within the AL East we all thought this would be a boring and long off season. Only 144 days until pitchers & catchers report we were told. We mentioned that some of the moves made at the mid-season trade deadline would make it very realistic that Red Sox players would be making big contributions to several postseason runs. With the ALCS teams settled we have Andrew Miller, bullpen ace that is in the hunt for his second World Series Ring in consecutive seasons. Looking to the NLCS we have to wait on the division series that are still going. Jake Peavy and the Giants lead their series 2-1 over the Nationals and Peavy is scheduled to start game 5 in Washington if it's needed. 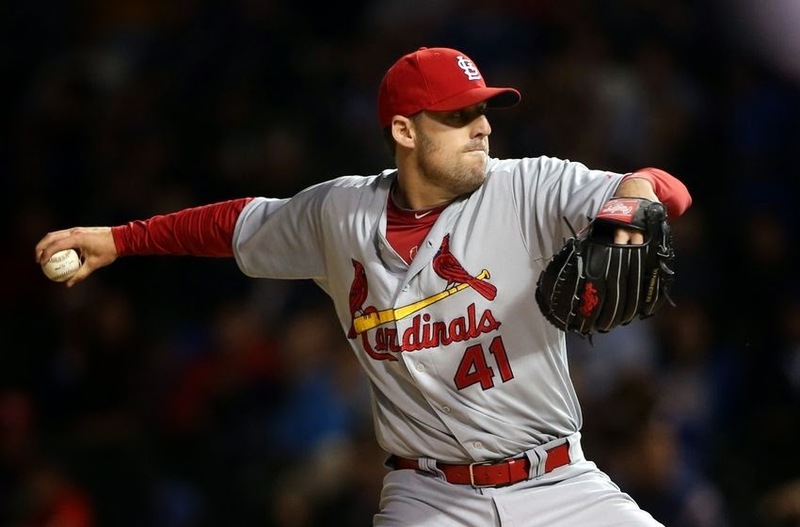 The other has John Lackey on the Cardinals leading their series 2-1 over the Dodgers. Let's assume for a minute that they both win one of the next two games. That gives us the chance that Red Sox players traded at the deadline will be facing off in the World Series. Miller for the AL facing either Lackey or Peavy for the NL. Lackey was the winning pitcher in game 3 of their division series, tossing seven innings, allowing 5 hits, gave up 1 ER, walked 1 and struck out 8 batters. That is the Lackey we know and loved when he was working for us in Fenway. 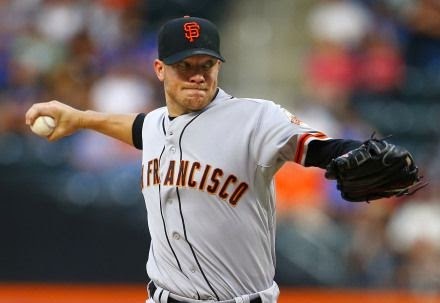 Peavy started game 1 of his division series going 5.2 innings, gave up 2 hits, no runs, and struck out 3 batters. Miller has been a tremendous asset for the Orioles this postseason, taking the mound against the Tigers to face 6 hitters in game 1, striking out 3 and giving up no hits. In game 3 he covered the last five outs that put their closer on the mound to take the series. He made two appearances in the ALDS and was called on to face 11 batters. He retired 10 — all in a row after walking two-time reigning AL Most Valuable Player Miguel Cabrera in Game 1 at Camden Yards. Who can blame him for walking Cabrera, as that is just smart pitching? That has to have left a bad taste in the mouth of the Tigers management, as it has come out that they offered the Red Sox their asking price for Miller at the trade deadline only to see him dealt to the Orioles. With Miller a free agent at the end of this season there will be a lot of interest, just like when the mid-season trade deadline was approaching and the Red Sox had no less then 14 inquiries. Everyone is learning that a strong bullpen is more important than a lights out starting pitching staff, see Tigers early exit this year with bullpen meltdowns being the obvious weakness. Even the New York Post is calling for their teams to make a run at Miller in the off season. 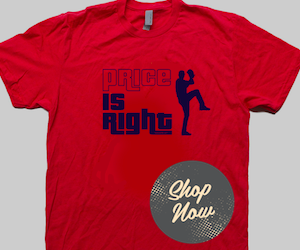 So will it be Lackey, Peavy or Miller with a second World Series Ring?